I bloody love going to the movies! There is nothing better than being in a comfy seat in a dark space watching a stunning big screen story. And somehow, by sitting with a crowd of expectant people who have also chosen to be there, I feel part of a community. I feel immersed. I especially had that feeling during the recent Māoriland Film Festival. It was our fourth annual celebration of indigenous cinema and a wonderful chance for our community to immerse themselves in over 121 films. There were dramas and documentaries and short films that speak to many of the issues facing our planet today. We even got in a few games of Bingo during a session of experimental shorts. We had fun at our festival! 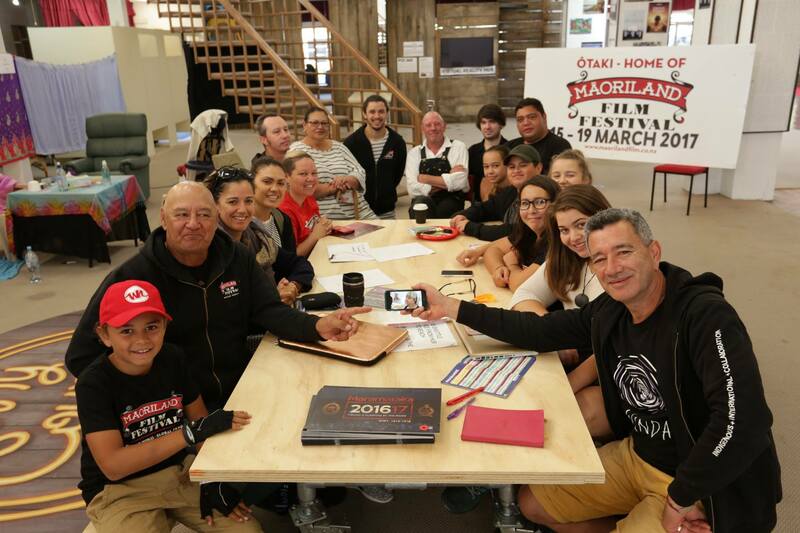 After a profound pōwhiri at Raukawa marae, filmmakers and rangatahi, parents and film fans got together to plan for the Festival activities. In particular, choosing which films to go and see. The NATIVE SLAM 2 filmmakers were concentrating on finishing their 72-hour film challenge films they’d making together in the days leading up to the festival. Some of the most acclaimed feature films to be screened were SAMI BLOOD, TANNA, ANGRY INUK, BONFIRE, POI E, ZAC’S STORY and GOLDSTONE. These incredible movies are an astonishing mix of passion, social justice and committed storytelling. The outdoor screenings for HUNT FOR THE WILDERPEOPLE and MOANA attracted well over a thousand people. And who could forget the electric response to Michelle Latimer’s RISE, her masterly film about Standing Rock. 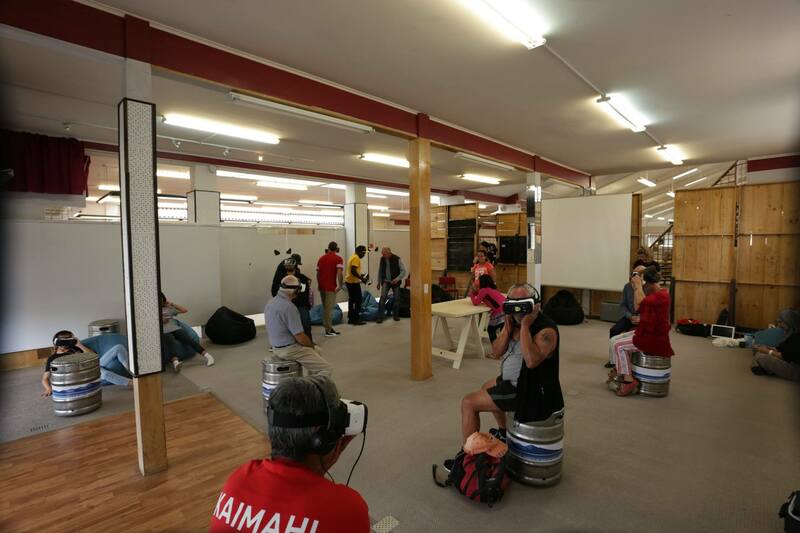 For nearly a week Ōtaki hosted many filmmakers, film fans and whānau. Thirty native filmmakers from overseas joined us and each of them left the festival feeling rejuvenated by what they had experienced here in our town. The community enjoyed seeing another Ricky Baker in their midst: The popular film star Julian Dennison and his mum Mabelle took a full part in all the activities. Their keynote address at the Rangiātea Church was a master-class in wisdom and wit. The Aboriginal Mob brought their stunning 360˚ camera technology and amazed everyone with their ground breaking work in ‘immersive’ filmmaking of the future. Everyone was blown away by the murals in the township and at Te Kura ā Iwi o Whakatupuranga Rua Mano created by Hawaiian artist Estria, Mike Bam and Cherise. A wide range of industry experts, artists and healers came to Ōtaki to share their work and their kōrero with us. Much of all this activity took place at the new Māoriland Hub. The festival was this year blessed with our own spacious headquarters. The iconic and beloved Edhouse’s Department Store transformed into the Māoriland Hub. It was so easy to host activities and guests and set up our box office there. We have plans for the Hub and will keep the community up to date with the activities we will offer the town. The school’s programme led by our own young filmmakers Ngā Pakiaka was a celebration of storytelling for youth. The Ngā Purapura venue was regularly packed with hundreds and hundreds of students applauding films made by their own, and other young filmmakers from around the world. Our rangatahi are the storytellers of tomorrow, and their capacity to communicate well with each other and the world is one way to protect our unique New Zealand identity in an uncertain future. Māoriland was a success because so many people came to see the films and wanted to take part in the buzz: To wear the T-Shirts, hang around and enjoy the vibe. We were blessed by the weather and the buoyant mood of so many festival-goers and hard working volunteers. Tēnā koutou katoa. There is no doubt that native cinema is growing as a potent filmmaking force. 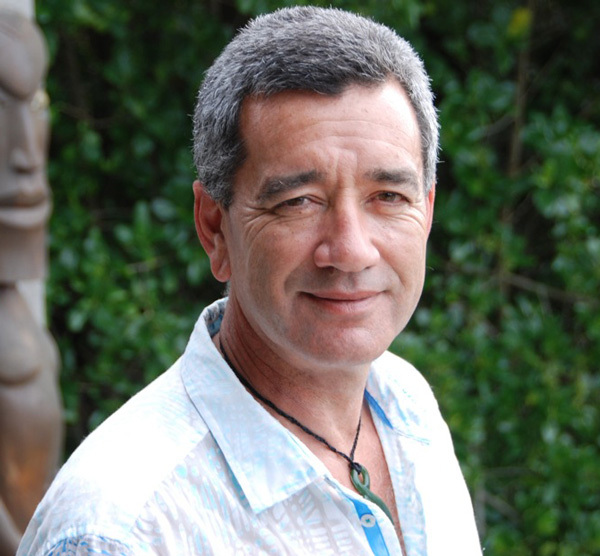 Māori filmmakers contribute to it. So do other Polynesian people along with Aboriginal, the Sami, the Native peoples of the American continent, and a host of other indigenous nations from around the world. Despite differences of language and custom one of the common characteristics of all these films is that they are about relationships: With our environment, with each other, and within ourselves. Film is not just about entertainment. Though it’s certainly one of its greatest attractions. Film is also an art that can tell stories that need to be told in a way Television and the internet cannot. Film can be an antidote to a media landscape where truth is often difficult to find. A good film will change your mind. A great film will change your life. This is why film is an art and why I love going to the movies.